Due to unforeseen circumstances, we are pleased to be able to offer EU some limited edition Brexit T-shirts. 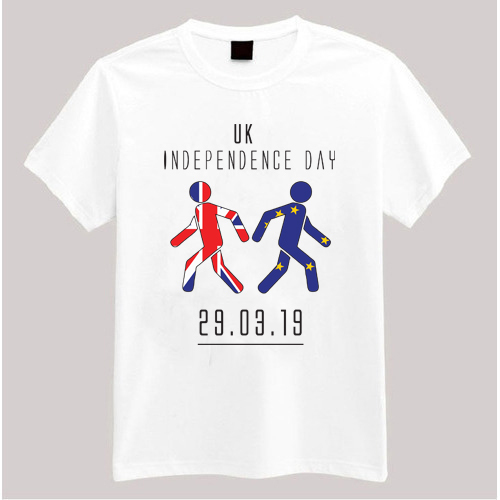 A local printer has found themselves with a storeroom full of these tees as a result of the stock owner now not wanting to take their items, even though he was told over 150 times that Britain would definitely leave on the 29th March. His reason for this was his wife had left him and there is the potential for a rather large divorce bill. His wife was considering taking them as part of the settlement and there is still a chance that Theresa may take them, but for now it is first come first served. The printer was offered six pence a t-shirt but he knew it was worth more than that even in scrap, so he told them "no deal". The printer had also offered them out to various clubs and groups and indeed the local cricket team were going to take a punt on it. All the team had agreed apart from the backstop who had proved unwilling to wear this item and meant that the whole deal was extremely hard to pull off. There is no one single market for these tees and they are free for sale without any issues, although some tariffs may be unexpectedly introduced. 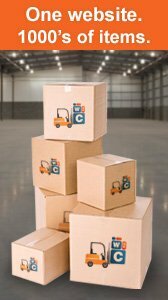 Due to courier issues, there could be a transitional period in receiving these items, although no one is sure how long this will be or indeed if and when it could occur although the latest date for this is rumoured to be the 22nd May 2019. These tees are made of high-quality material. High quality means high quality. They are packed in boxes of fifty and the majority of the boxes are extremely strong and stable allowing for ease of movement and storing, although a handful may be weak and wobbly. 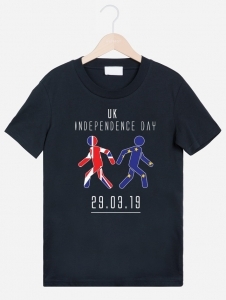 You will receive 5200 Mens UK Independence Day Brexit T-Shirts.